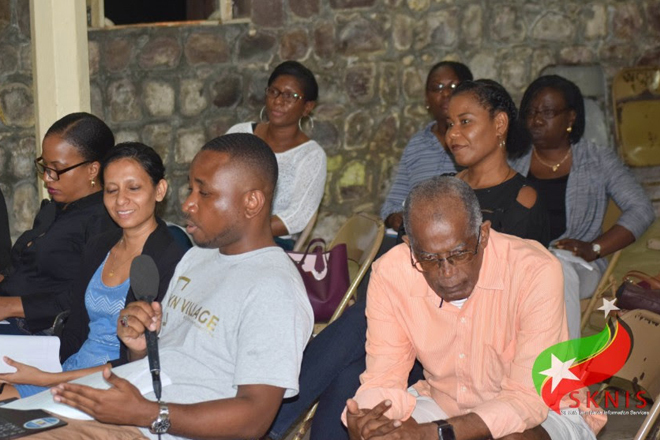 Obesity in students was just one of several health related issues discussed at the national commission for universal healthcare public consultation at the Anglican Church hall in Sandy Point on Monday. One attendee at the forum said the food distributed to the students at school is one contributing factor to the issue of childhood obesity among the youth. However, during his presentation, coordinator for Universal Healthcare secretariat, Clifford Griffin said a collaborative effort put forth by the Department of Agriculture and the Ministry of Health has lead to the restructuring of the school meals programme. Griffin also used the opportunity to thank all persons for participating in the health related discussions and expressed how beneficial the meetings are to the federation. The universal healthcare consultations in St. Kitts continue later this evening at the St. Paul’s Primary School. The meetings are scheduled every Monday and Wednesday and run until December 10, 2018.